The Grand Knight is responsible for the overall welfare of the council. The grand knight must provide thoughtful and inspired leadership to the 14 other council officers, the Service Directors, chairmen and members of the council. More specifically, his duties include: presiding over council meetings, appointing membership and program directors, acts as an ex officio member on all committees, including membership of recruitment and retention committees while making sure all required reports are submitted on time. The grand knight represents the council at Chapter meetings and the annual state convention. The Priest chosen will primarily act as spiritual advisor to the brother knights and families of the council. He has no specific duties with regards to running the council. He is expected, however, to make a report at council meetings and give brief talk on any religious matters. The chaplain should also serve as an advisor to the church activities director. The Deputy Grand Knight is second in command in the council. He assists the grand knight in the operation of the council affairs and is responsible for any duties assigned to him by the grand knight. He is also the council’s program director advising the various service program directors. The Chancellor assists the grand knight and deputy grand knight in the execution of their duties and takes charge of the council in the absence of the grand knight and deputy grand knight. He chairs the membership activities of the council to attract new members, getting them through the three degrees and making new members feel welcome in our council. The Financial Secretary’s duties revolve around two areas: financial records and membership records. He receives all moneys that come into the council from any source. He then turns that money over to the council treasurer for deposit in the council account. The Treasurer is the elected officer in charge of handling all council funds. He receives the money from the financial secretary. He must keep accurate financial records. The treasurer makes payments approved by the trustees. The Warden is responsible for supervising and maintaining most council property except that which belongs to the financial secretary. He sets up council chambers for meetings and degrees and supervises guards for ceremonial exemplifications. The Warden should also oversee the inside and outside guards and make sure they are fulfilling the duties assigned to them. The Inside Guard attends the inner door of the council chamber, checking on paid up membership cards before allowing entrance. The Inside Guard is charged with the security of the Council Chamber and assists the Warden in meeting the duties of his Office. The Outside Guard tends the outer door of the council home, admitting all visitors to the inner door. The Outside Guard is also charged with the security of the Council Chamber and also assists the Warden in meeting the duties of his Office. 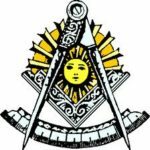 The Lecturer is appointed by the Grand Knight to provide suitable educational and entertaining programs for the council. He is responsible for presenting the Good of the Order” section of the council meetings. He will have ample time at each meeting to present a worthwhile program that will help build attendance and provide benefits to the membership that is present. The Recorder functions the same way that a court recorder does. He also maintains all council correspondence. He keeps the minutes of all meetings. The Advocate is the legal representative of the council and serves as the council’s attorney in case of trial and investigation of any matter of interest to the council. He should be thoroughly familiar with all of the laws of the Order as stated in the “Charter, Constitution and Laws” and with council by-laws as well as a working knowledge of the “Roberts Rules of Order”. There are three Trustees in each Council, titled as 1 Year Trustee, 2 Year Trustee, and 3 Year Trustee. They oversee the financial transactions of the Council, review all bills and financial reports and audit the Council’s financial records semi-annually. The District Deputy is the representative of the Supreme Knight and the State Deputy and is responsible for the supervision, growth and expansion, and general care and well-being of the councils assigned to his district. His responsibilities include ensuring that his councils follow the Order’s laws and rules, promoting effective membership recruitment and retention programs, identifying and developing new council locations, assisting councils to conduct relevant service programs, and monitoring the general financial and social health of the councils in his district. The District Deputy is directly reportable to the State Deputy for all activities within the district and fulfills the very important communication link between the State and Supreme Councils and local councils.